Here is the stunning account of K'tut Tantri's life in Java as a young artist and later as a resistance fighter for Indonesian independence. 8-page black-and-white photo insert. 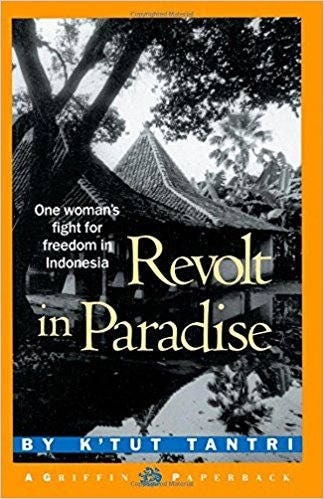 This is K’tut Tantri’s absorbing account of her life in Bali, first as a young artist and later as a resistance fighter for Indonesian independence. Enchanted by the paradise seen on a movie screen, this young Scotswoman decides she must live in Bali. Once there, she attracts the attention of Prince Anak Agung Nura, who introduces her to his language and culture, and begins what will become a lifelong friendship. When war shatters her paradise, K’tut Tantri joins the Prince in the resistance movement, only to be captured, tortured, imprisoned and finally, near death, released.